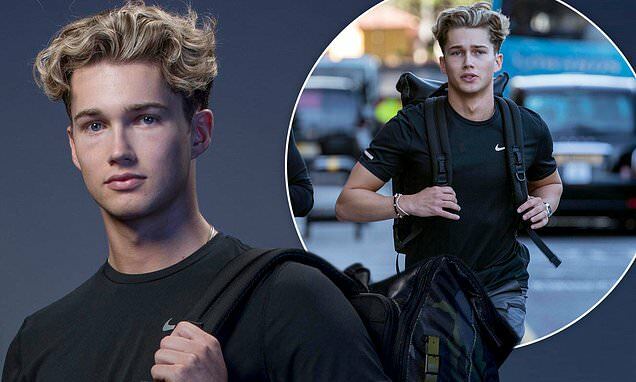 AJ Pritchard has revealed his own personal incentives for swapping Strictly Come Dancing for The Hunted. The second series of the celebrity version of the factual thriller reality show, which is made to raise funds for Stand Up To Cancer, returns to Channel 4 on Tuesday, with AJ teaming up with gymnast Louis Smith to evade capture over a 14-day stint. The pro dancer, 23, told MailOnline that he didn't think twice about taking part - particularly due to the disease it raises awareness for. 'I would jump at any opportunity to do any work for Stand Up To Cancer. If they ask me to do anything it will always be a yes,' he said. 'I do have personal reasons for doing it: the lady that helped fund and allow me to become the dancer I am today passes away so suddenly from cancer. The lady in question enabled AJ to undertake the far-from-cheap training it took for him to become a professional in dance. 'If it wasn't for her, I wouldn't have been able to travel the world and end up doing Strictly. She allowed me to live my dreams. Not everyone can do what I do, and that's down to her,' AJ explained. Of having to go on the run for The Hunted, AJ explained that it was the memory of his benefactor that spurred him on.